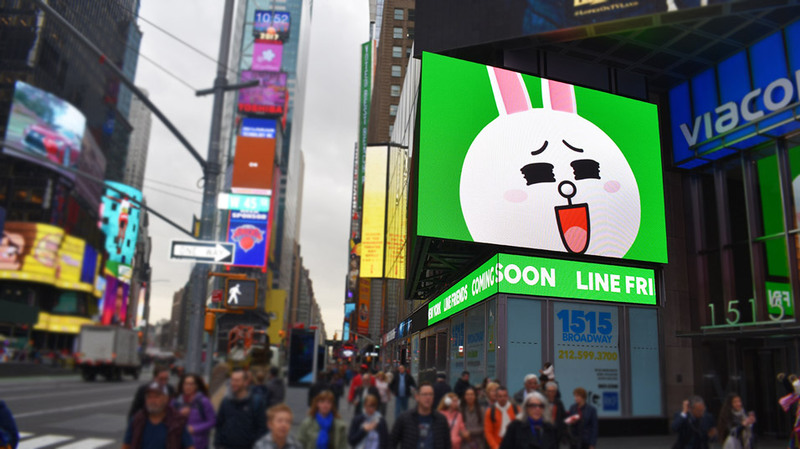 Sansi North America (SNA) Displays recently installed another spectacular display system in Times Square. The new high-resolution digital displays are located at 1515 Broadway, close to SNA Displays' headquarters and home to several other SNA screens. 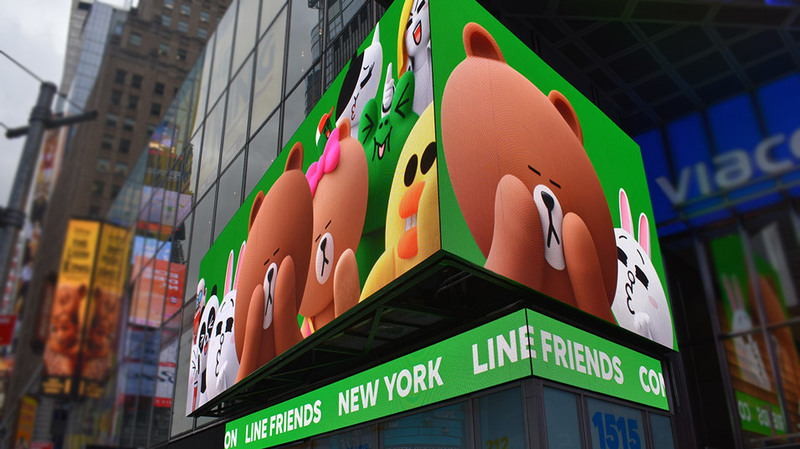 The LINE FRIENDS project includes a large main screen and a ticker, both of which wrap around two sides of the building’s exterior and viewable by all pedestrians and traffic in the bow-tie. 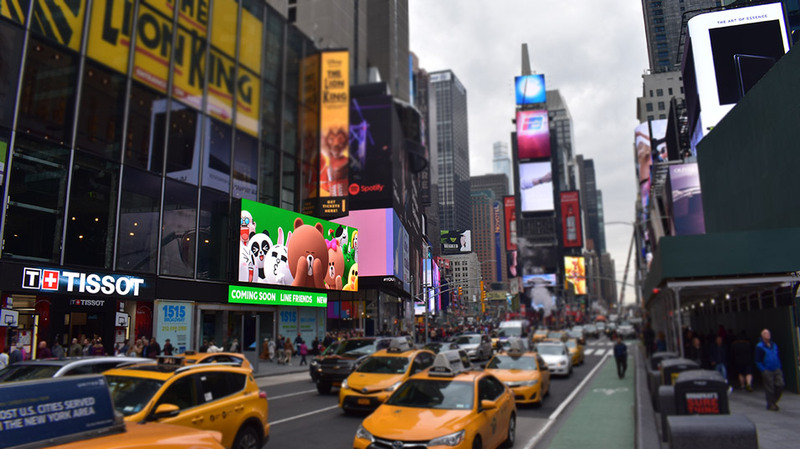 SNA Displays' upgraded LED technology replaced an older digital display previously used by Aeropostale to advertise outside its Times Square retail store. The exterior S|Video™ LED displays, which feature a 10 mm pixel pitch, meaning the center of each pixel is only .39 inches from the center of an adjacent pixel. In total, the display system includes more than 2.3 million pixels and more than 1,600 square feet of LED canvas. 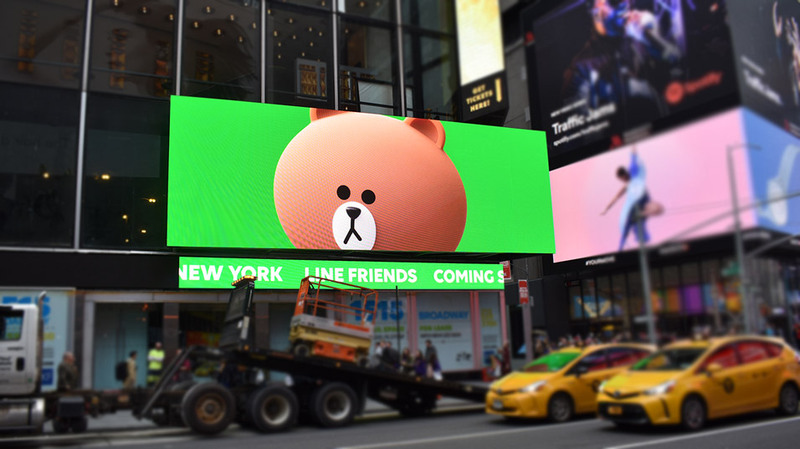 The new displays will primarily be utilized by LINE FRIENDS, a popular Asia-based retailer which previously had a temporary pop-up store in Times Square. 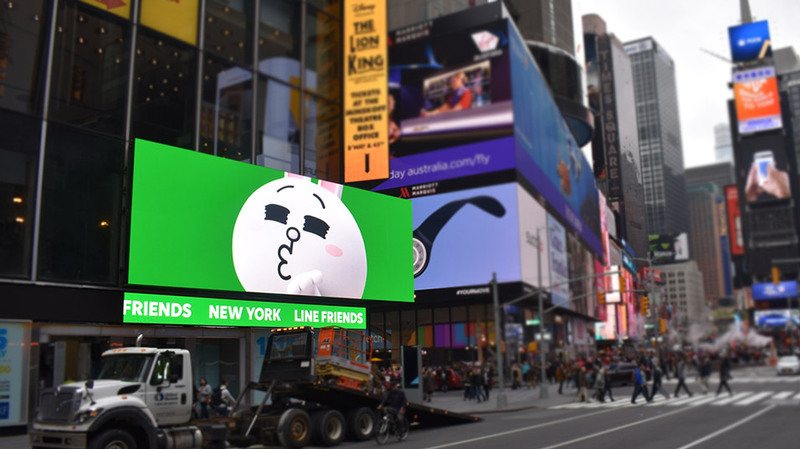 A global branding company comprised of sticker characters, LINE FRIENDS can expect as many as 330,000 daily Times Square visitors to view its messaging. The displays employ surface-mount device (SMD) technology, where the LEDs in each pixel are packaged together, allowing for crisp, clear imagery and a widened viewing experience. SNA Displays provides the widest offering of SMD technology in the LED display industry, from ultra-fine-pitch interior screens to wide-pitch exterior displays, and everything in between. 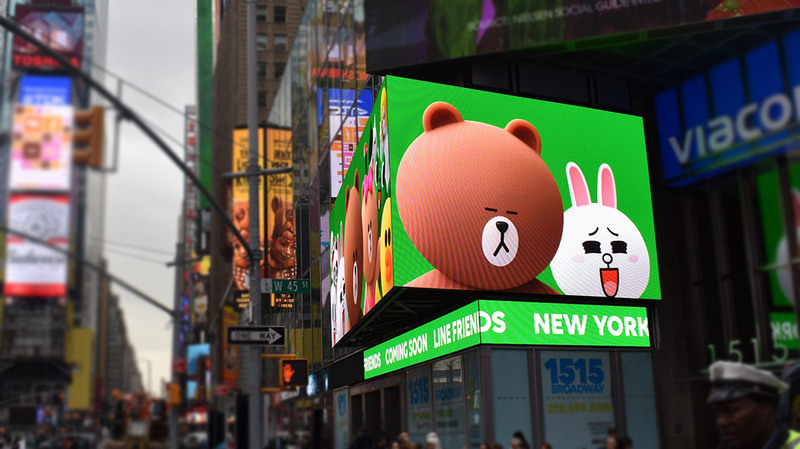 The new LED displays were designed by Sensory Interactive to maximize square footage and run along the building’s exterior. Unique to this installation, a custom HVAC system had to be designed to sit behind the displays to allow for proper airflow. In addition to manufacturing the screens, SNA Displays also completed the waterproofing and glass work for the displays. 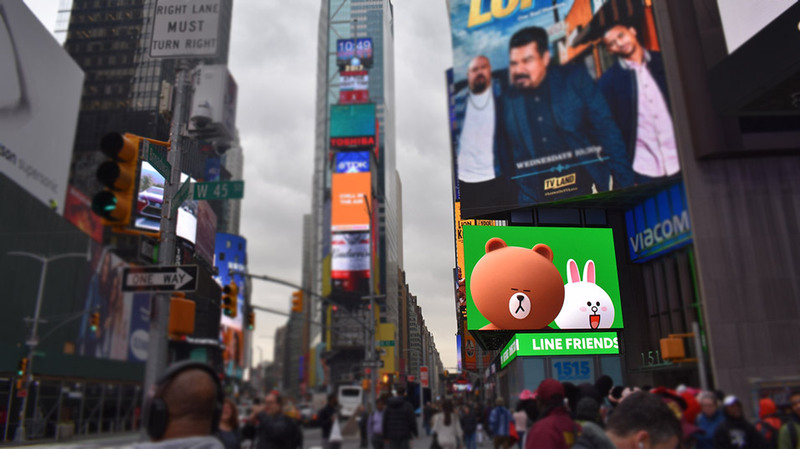 Landmark Signs & Electrical Maintenance Corp. was tasked with the removal and replacement of the displays, while Ryan Biggs Clark Davis, an engineering consultancy firm, provided the structural engineering services for the project.